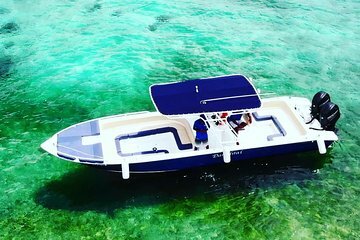 Explore the coastline beyond Cartagena with this full-day private boat tour. Leave the navigating to your private guide and admire views during the journey to the Rosario Islands. Visit the islands of Cholon and Baru for a day spent sunbathing, swimming, and snorkeling. Return to Cartagena at the end of the day.